This app converts audio files into MP3, removing their DRM restrictions so you can play them on any device. This post is brought to you by Convertanymusic.com, maker of Apple Music Converter. When we download music from iTunes, or audiobooks from Audible, the files that get onto our devices are DRM-protected. That means they can’t be played on “unauthorized” devices. This, let’s face it, is pretty inconvenient. Digiarty celebrates five years of great video download software with a fantastic free offer. This post is brought to you by Digiarty, creator of MacX Video Converter Pro. Sometimes you see a great video online and you’ve just got to have your very own copy. MacX YouTube Downloader, a free tool from Digiarty, can make that happen. And if you want to take things a little further, companion software MacX Video Converter Pro can transform the videos you’ve downloaded into files that will work on all your devices. Possibly the best part? 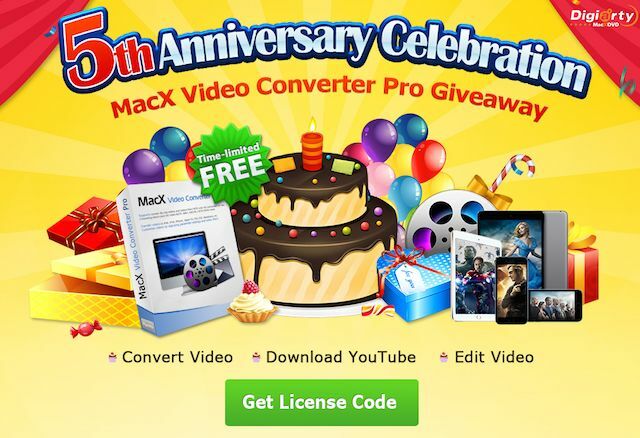 Digiarty is celebrating its fifth birthday in style this week by giving away MacX Video Converter Pro! This post is brought to you by iFlicks. 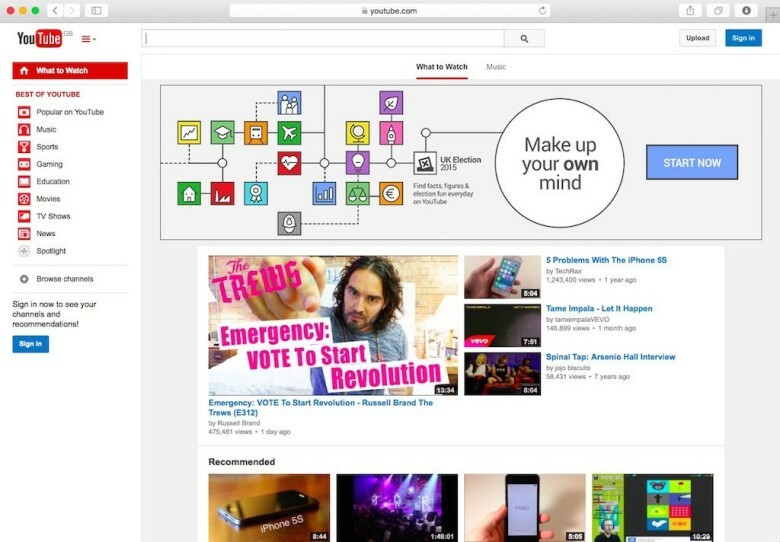 Are all your videos hidden in a bunch of folders or stored haphazardly in the cloud? Wouldn’t you rather they were all as easy to sort and locate as your iTunes content, with metadata like movie posters and cast credits? 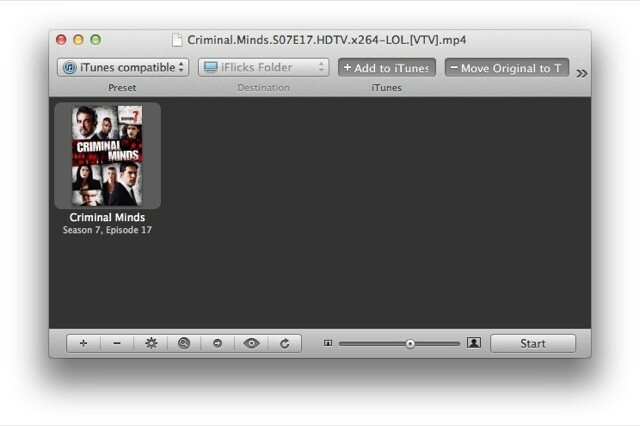 Using iFlicks 2, you can easily import your video collection into iTunes. This gives you the ability to watch your third-party videos directly in iTunes or transfer them to your Apple TV, iPad, iPod or iPhone. On top of that, iFlicks downloads metadata (information or visuals related to your videos) and lets you tweak the metadata manually. 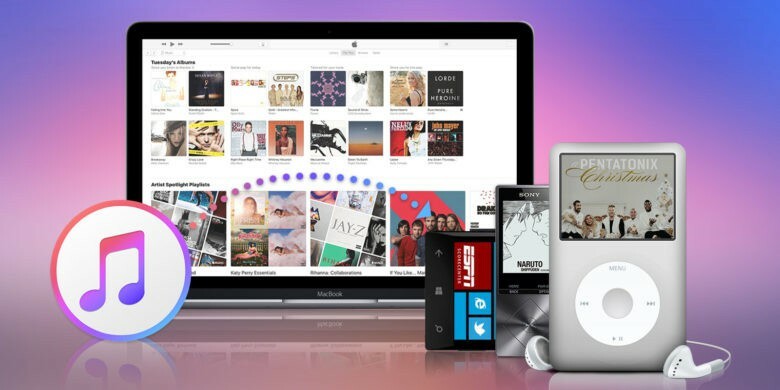 Managing your video collection in iTunes has never been this easy! This post was brought to you by Anvsoft, creator of M4VGear. Do you want to copy or convert your videos, TV shows and music videos to other formats so that they can be watched on all your devices? Currently, movies purchased or rented on the iTunes store are DRM encrypted so as to restrict their viewing to Apple devices and iTunes. Moreover, if Apple pulls a video from iTunes, it can no longer be accessed even though the viewer purchased it. M4VGear DRM Media Converter is the fastest DRM remover on the market. 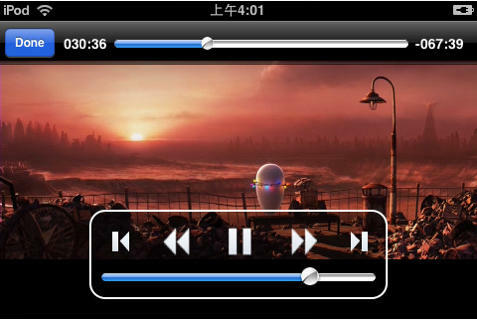 This software package can remove DRM from your iTunes movie library 20 times faster and converts iTunes M4V video files to unprotected mp4 format with perfect output quality for iOS. Watch the video here. If you live outside the U.S and UK, you’ll find that the easiest and quickest way to get your favorite TV shows onto your iPad is via BitTorrent. But until now, you had to do some heavy post-download processing to make the XVID files play on your iPad, or at least use third-party software to play it. Now, many BitTorrent groups have switched to the x264 MP4 format for most new releases. That’s good news for iPad and Apple TV users, but there’s even more entertainment to be had from this story: The BitTorrent pirates are crowing about the switch and even threatening to boycott the downloads. Yes, you read that right. Pirates are threatening to boycott illegal TV show downloads. 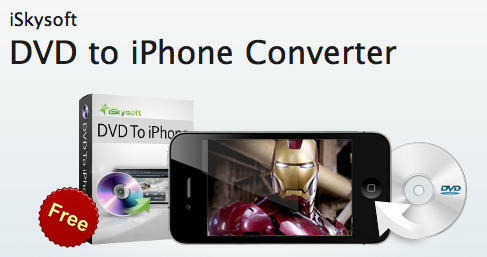 DVD to iPhone Converter for both Mac and PC is a handy application that allows you to transfer your DVD movies in to MP4 files optimized for your iPhone 3G, 3GS or 4. It’s incredibly simple to use: just stick your favorite DVD in to your computer, select the appropriate movie file and then click “convert.” When it’s done, drag the MP4 file in to your iTunes library and sync it to your device. This application is a must for any movie fan, and the giveaway which will last just over a week will save you $29. All you need is a Facebook account. Visit iSkySoft’s Facebook page, and click on the “like” button to become a fan. Fill in your name and email address and then download the application. Be sure to click on the “get keycode” link to get the serial key sent to you via email. Get it before the offer ends and enjoy your movies on the move without buying them again on iTunes!